After issuing Good Sad Happy Bad last year with Micachu & the Shapes, Mica Levi has returned to the world of film. The musician's next project is scoring Pablo Larraín's former first lady-examining biopic, Jackie. Film Music Reporter notes that Levi has been tapped to deliver new music for the upcoming film, which chronicles the events leading up to and following the 1963 assassination of U.S. president John F. Kennedy. The film is depicted from the viewpoint of former first lady Jacqueline Kennedy Onassis, who is played by Natalie Portman. Levi's score will be her first since offering up the stellar soundscape to Jonathan Glazer's 2014 sci-fi flick Under the Skin, for which she received a BAFTA nomination. 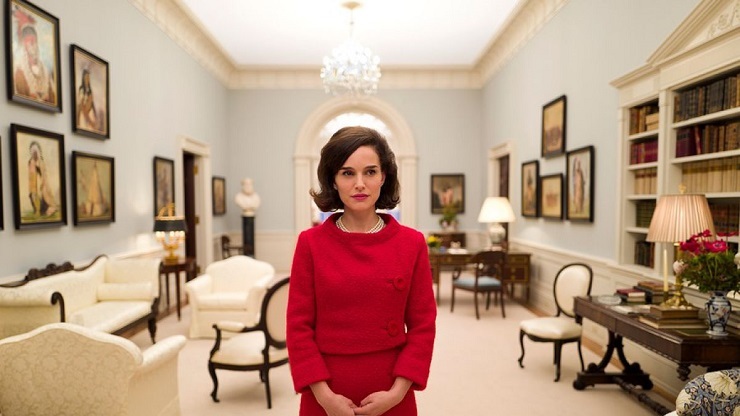 Beyond Portman's titular role, Jackie also stars Peter Sarsgaard, Greta Gerwig, Billy Crudup and John Hurt. Its world premiere takes place next month at the Venice Film Festival.